• Dynastraight Versatility Kit, including Finishing Tool and DynaWheel. • Includes 13505 Dynastraight (3,400 RPM), with 13015 Threaded Arbor (5/8"-11), and 94472 Dynacushion (5" dia. x 3-1/2" wide), ideal for a variety of applications. 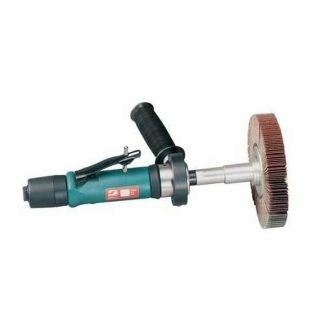 • Includes 98130 Air Chuck, and 89173 Coated Abrasive Belt (120 grit), 3-1/2" wide x 15-1/2" long. 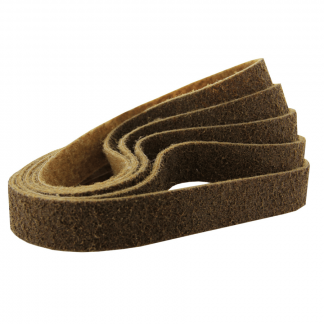 • Also includes NEW 89174 Coated Abrasive Belt (180 grit), 3-1/2"wide x 15-1/2" long, and 89242 Non-Woven Nylon Belt (medium), 3-1/2" wide x 15-1/2" long. 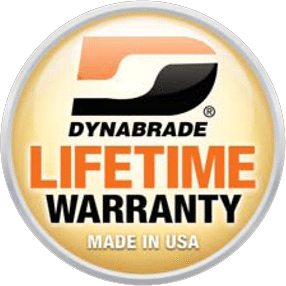 The Dynabrade 13525 Dynastraight Finishing Tool Versatility Kit, Non-Vacuum is a Dynabrade tool within the Dynastraight category of tooling range. Coated abrasives and surface conditioning material Belts of can be used which can also be supplied by DynaShop. A Non-Vacuum tool with a maximum RPM of 1800, a power rating (hp/W) of 1.0 (744) with a weight of 3.36kg. Please complete the form below to arrange a tool demonstration for the Dynabrade 13525 Dynastraight Finishing Tool Versatility Kit, Non-Vacuum or any of the Dynabrade range of tooling. Alternatively please call us on 01273 468736.